Was looking for a place to have dinner on a weekend when I chanced upon Xi Yan, located on the 3rd floor of Shaw Centre. Unlike private dining Xi Yan at Craig Road where reservations are required and it is highly recommended to set aside a few hours to not just enjoy the meal (only set menus are available) but also justify the hole burnt in your pocket, walk-ins are allowed at this casual dining concept. Opened since last October, it was quieter than expected considering the hype around its 10-year-old parent restaurant founded by celebrity chef Jacky Wu popularly nicknamed Hong Kong's Jamie Oliver. Appetiser Fried XO Chai Po Radish Cake was too salty for my liking. In contrast, Black Truffle Yunnan Ham Fried Rice was a tad bland with a nice aroma of truffle oil that did not overwhelm. 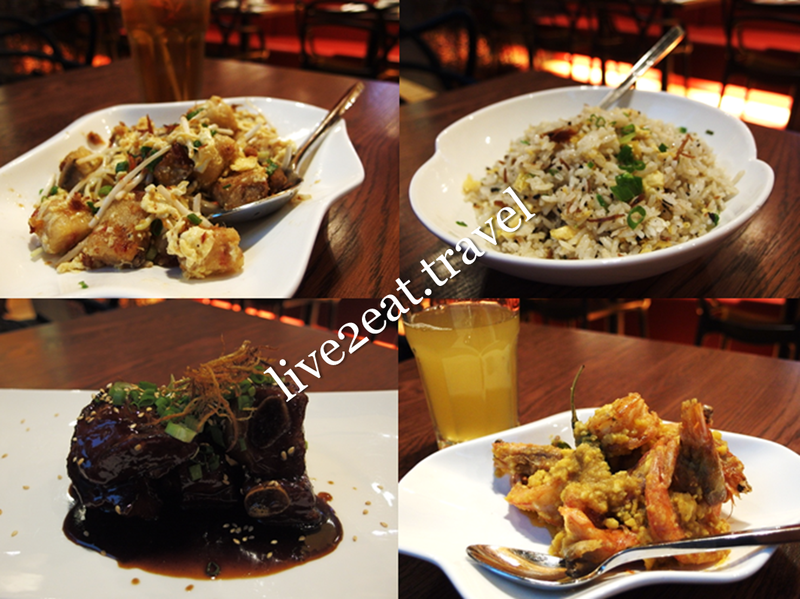 While I liked the Basil Satay Prawns with Salted Egg Yolk, could not say the same of Okinawa Black Sugar Zhenjiang Spare Ribs which was too tough.